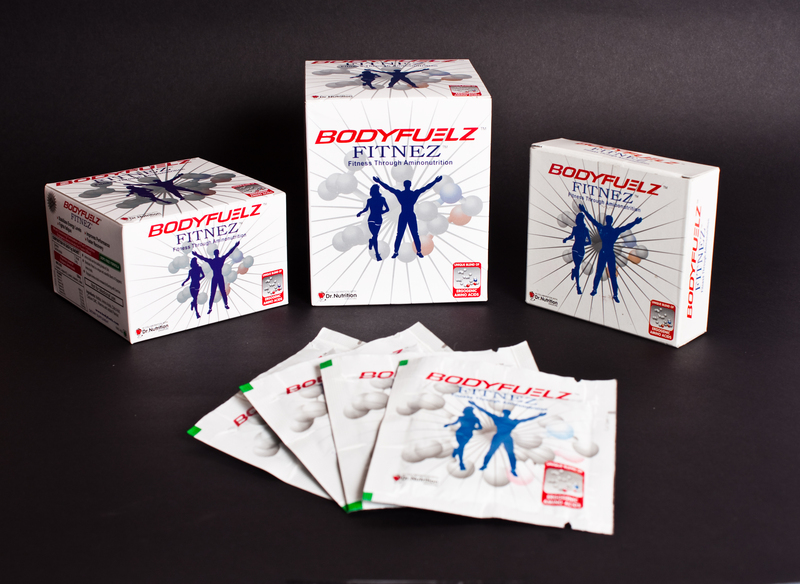 BCAA is found in BODYFUELZ products like MUSCLEMAX, FITNEZ and PWRSPORTS. BCAA plays an important role in muscle development. This post is to help you understand the importance of BCAA during your workouts and other physical training. Branched Chain Amino Acids (BCAAs) are Leucine, Isoleucine and Valine. They are considered to be essential amino acids because humans could not survive unless they were present in their diet. What are the Key Benefits ? Unlike other amino acids BCAAs are not metabolized in the stomach and are instead metabolized directly in the muscle. This unique quality means that they are very anabolic (they build muscle) and very anti-catabolic (they stop muscle breakdown). These unique amino acids (Leucine, Isoleucine and Valine) cannot be synthesized by your body so they are essential to your growth. BCAAs are required to maintain muscle tissue and studies have shown that they help to preserve the muscle stores of glycogen. BCAAs also prevent muscle tissue breakdown during training. A study performed by Ohtani et al the results showed that the subjects who received BCAA’s had a significant increase in exercise efficiency due to the heightened levels of aerobic and anaerobic capacity as compared to the placebo group. Another study performed by Ohtani et al, a thorough before and after analysis concluded that markers for physical conditioning, fitness, and endurance greatly improved. In fact, only 2.2 g of the amino acid mixture three times a day significantly improved physical conditioning leading to huge significance in high performance athletes & fitness enthusiasts especially in terms of overall conditioning. 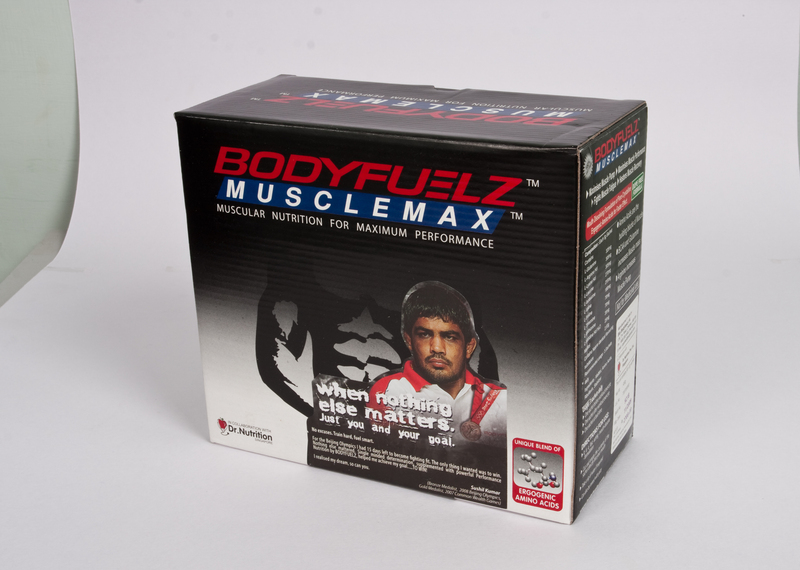 It is to be noted here that BODYFUELZ MUSCLEMAX contains 1.8 g of Glutamine, Argenine and BCAA , of which BCAA is about 30%. For more info on ingredients check MUSCLEMAX product info page. By taking 3 sachets of MUSCLEMAX during high performance workouts, one can greatly enhance their gym training for muscle development. Alleviation of short term decrements in performance commonly associated with overreaching. May aid in the healing of injuries, sickness, and trauma. May also be strength and muscle mass increases accompanied by BCAA supplementation. According to consumerlab.com there is no apparent toxicity or danger associated with BCAA supplementation. Consumer Lab also recommends anywhere from 1-12 grams.BCAA’s should be taken with water before and after training with any other pre or post workout supplement. Ohtani M, Sugita M, Maruyama K. Amino acid mixture improves training efficiency in athletes. J Nutr. 2006 Feb; 136(2): 538S-543S. This entry was posted on March 29, 2010 at 6:56 am and filed under amino acids,AMINONUTRITION,Carnitine,Creatine,energy drink,health and fitness,health in office,katrina kaif,life,Lifestyle,Nutrition,protein supplements,Sachin Tendulkar,sports drink,Weight loss,whey protein,work culture. You can follow any responses to this entry through the RSS feed.